A nearly 5 year investigation by federal authorities into allegations of abuse at the Lincoln Hills facility near Irma has concluded. The U.S. Attorney’s Office for the Western District of Wisconsin and the Civil Rights Division of the U.S. Department of Justice have announced that the federal criminal investigation of alleged civil rights violations at Lincoln Hills School (LHS) has concluded, after finding insufficient evidence to prove federal criminal civil rights charges against Lincoln Hills staff members. The investigation began in 2014 after allegations of injury to juveniles housed at the facility. The press release Friday afternoon from the U.S. Attorney's Office For the Western District Of Wisconsin is below. MADISON, WIS. - The U.S. Attorney’s Office for the Western District of Wisconsin and the Civil Rights Division of the U.S. Department of Justice have announced that the federal criminal investigation of alleged civil rights violations at Lincoln Hills School (LHS) has concluded, after finding insufficient evidence to prove federal criminal civil rights charges against LHS staff members. The U.S. Attorney’s Office and the Civil Rights Division, together with the FBI investigation, conducted a comprehensive investigation into allegations that LHS staff members used unreasonable force against incarcerated youths on multiple occasions. As part of this investigation, a team of experienced civil rights prosecutors and federal agents conducted interviews of civilians and law enforcement witnesses, and reviewed materials and evidence generated during the course of the prior State investigations, including video footage, physical evidence, medical reports, and youth, employee, and law enforcement statements. 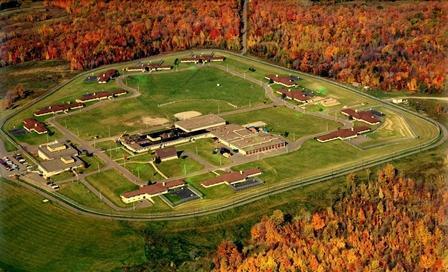 Federal authorities also reviewed the Wisconsin Department of Corrections and Lincoln Hills School policies and procedures in place at the time, and Lincoln Hills School staff training and employment records. To prove a violation of federal criminal civil rights laws, prosecutors must be able to prove that the involved staff members willfully used more force than was reasonably necessary. Proving “willfulness” is a heavy burden under federal law. Federal prosecutors must not only prove that the force used was excessive, but must also prove, beyond a reasonable doubt, that the staff member acted with the deliberate and specific intent to do something the law forbids. In this instance, there was insufficient evidence to establish beyond a reasonable doubt a violation of the federal criminal civil rights statutes. A legislator who early on asked for the closing of the Lincoln Hills-Copper Lake facility says the committee overseeing the closure is slowing the process a bit to make sure it results in the best outcome. A bipartisan bill passed last year has the Lincoln county facility closed by January 1, 2021. A series of costly incidents led the legislature to act. The goal is to move the juveniles to regional facilities. The complex world of Youth Justice is the topic of the League of Women Voters of the Northwoods meeting next week. League member Cheryl Hobbs said she recently attended two programs through Nicolet College's Learning In Retirement that made her wonder about youth justice. She found out this area has high drug use among youth and other risk factors.